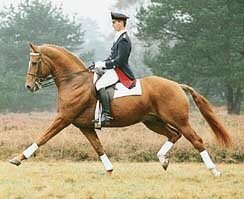 Top dressage horse Weltmeyer was Born in Feb, 1984. He stood 166cm and was bred by Hermann Meyer. From the start Weltmeyer was a sensation, according to his breeder Hermann Meyer (the ‘meyer’ in Weltmeyer). He moved through the arena unflustered. His trot was magnificent. It could not have been any better. The judging committee gave him the top score of 10. His canter stride was a leap forward flowing through the entire body of the horse. It earned a 9.5. His walk was ground-covering and earned him an 8.0. In addition he received a 9.5 for conformation and for overall impression. 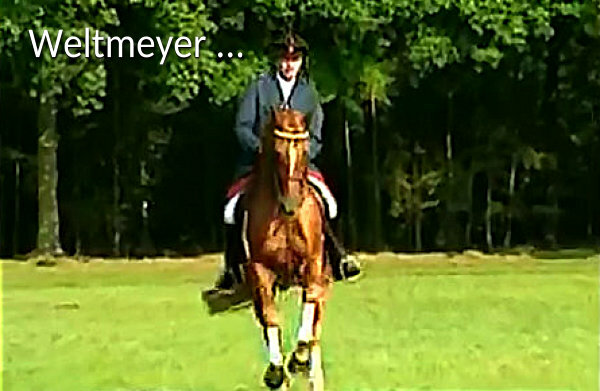 Weltmeyer was dressage stallion of the year in 1998. Weltmeyer has fantastic basic gaits. And it is something very special to ride such an eye catching horse, especially while he is trotting. Prednisone is used harga lasix tablet to remove inflammation in the body..